Having originally started her Real Estate & Property career in 2006 as a Receptionist at North West Realty, Michelle returned back to her home town of Karratha in 2015 brining with her 9 years of experience and a wealth of knowledge she has developed through various roles in the industry, working as an Executive Assistant in Perth and Sales and Marketing Consultant in both the South Hedland and Karratha Real Estate market. Michelle is highly skilled in negotiations and her unique qualities have achieved outstanding results for her clients. She is respected amongst her industry associates and colleagues for her commitment to providing quality service and a positive attitude, while successfully selling properties and ultimately achieving premium results. 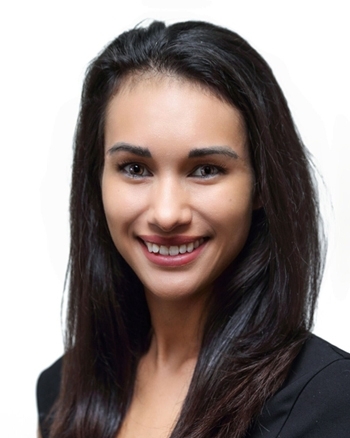 Michelle is able to identify and present the most compelling features of a property while recognising and articulating potential for further value-adding improvements, something she is passionate about as a property investor herself. "I am a driven, focussed business professional with a passion for delivering results, client satisfaction and providing a truly ethical and friendly service. Having previously worked for a nationally recognised company consulting with high end investors, I have developed excellent negotiation and sales skills and an in-depth knowledge of the Real Estate Industry. Worked in a demanding and fast pace environment, it’s my focus to offer an efficient and personalised approach to the Real Estate Market through my own personal and industry experience. I love property and I want to share that same passion and vision I have with my clients to help fulfil their investment and housing needs"